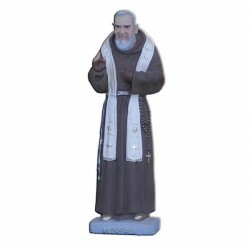 Statue of Saint Pio with stole 26 cm. 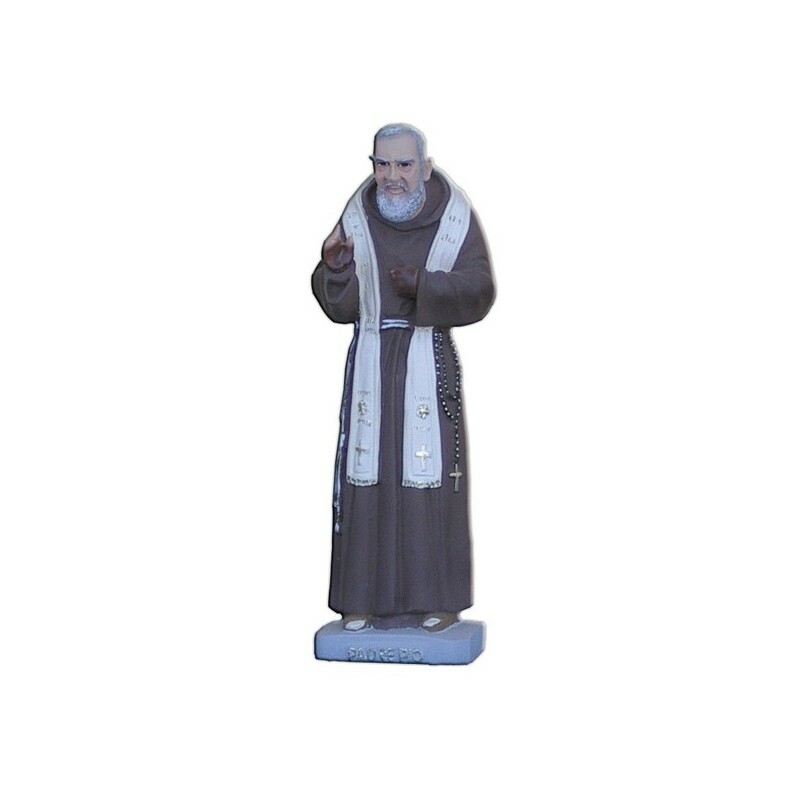 Saint Pio of Pietrelcina was born on the 25th of May 1887 in Pietrelcina and he died on 23 September 1968 in San Giovanni Rotondo. Pio (whose name was Francesco Forgione) was an italian catholic bishop of the order of the Capuchine Friars. He was beatified on the 2nd of May 1999 and he was sanctified on the 16 of June 2002 by Pope John Paul II. The Catholic Church venerates him as a saint and it celebrates his liturgic memory on the 23rd of September, when he died. When he was 30 years old it began to appear the stigmatas. During his life they attributed him many miracles and inexplicable healings. In Italy were born numerous “Groups of Worship”, associations of devoted observants, with voluntary works and pilgrimage’s organisation to the Shrine of San Giovanni Rotondo. 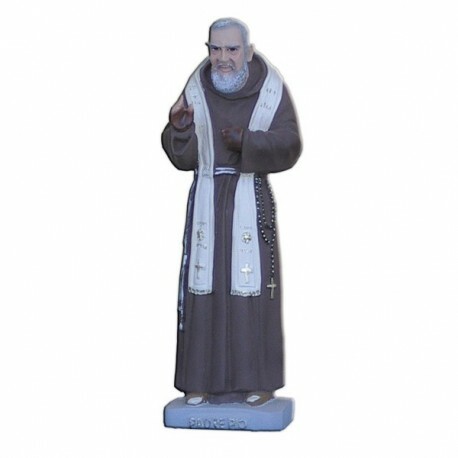 He is illustrated with the franciscan habit and with bound hands.